"Our Hope for Our Future is Our Children" is our latest Talk Show video, Featuring Diana Elliott and Estelle Paget. 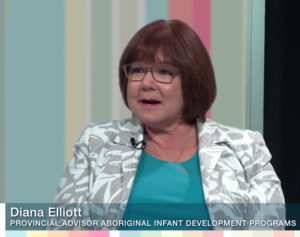 Learn about how Aboriginal Infant Development Programs support children and families to promote health and wellness for the early years of life – using traditional and contemporary practices and teachings. Share the celebration of the health and wellbeing of children, families and communities.